Hey, it’s (the day after) payday, and you’re looking to treat yourself after a long week of not flipping every document on your work desk and throwing the computer out of the window. Of course, that treat is going to be makeup (what else would it be), but what do you choose? Ok Ok Ok I’m late…and a little wishy washy…but I’m finally pulling myself out of the pumpkin pie haze to get back to the good stuff. And apparently my motto for 2019 is “better late than never” because…here we are. 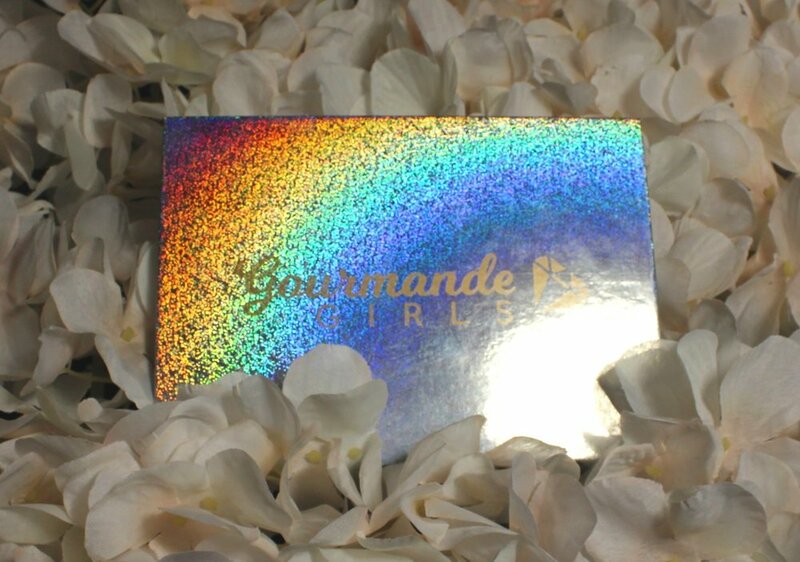 Gourmande Girls is owned by boss babe besties Christina and Stef whom I luckily stumbled upon through Instagram. Their passion for European inspired cosmetics and their larger than life take on style is front and center. Their products range from imported fragrance to bold hits of color. The If Stef Wears It Palette ($30 USD), to me, is as if an Hourglass Ambient Light Palette and an Anastasia Beverly Hills Glow kit had a baby. They give a creamy glow to the skin while also giving a hint of other-worldly alien-babe color. I am 1) 100% biased in my opinion on this brand - not because I am paid to be (which I am not) but because I resonate with the brand philosophy and their attitude towards cosmetics, women’s empowerment, and our animal friends. I am 2) fully aware some of the bottom row of highlighters are too dark for my skin tone. I tried to build up my bronzer a bit for the final shade (since I would realistically use it as more of a bronzer or blush topper) but I would LOVE to see a medium skin tone rock the green shade. Any girl with olive tan undertones who wants to check this palette out PLEASE send me a selfie because that shade with a light hand is going to look SICKENING on you and I need to see you SLAY.